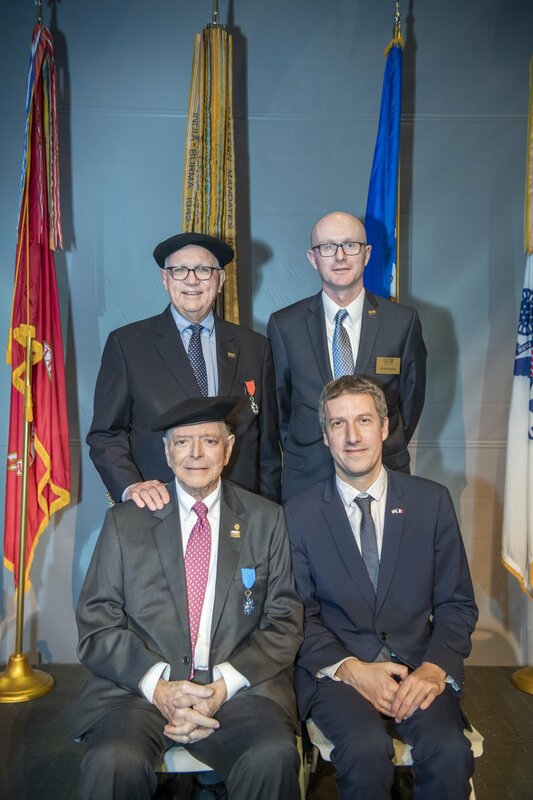 American Legion Past National Commander William Detweiler was honored Friday, December 7, 2018 in a ceremony at the U.S. Freedom Pavilion at the World War II Museum in New Orleans when he received the French National Order of Merit by Consulate General of France Vincent Sciama. William Detweiler, a New Orleans lawyer and longtime city official who advocated for fellow military veterans as national commander of the American Legion and was instrumental in the founding of the National World War II Museum, died Wednesday. He was 79. In December, although he was suffering the effects of treatment for pancreatic cancer, Detweiler, known as “Bill” or “Billy," attended a ceremony at the museum where he was honored by the French government with the French National Order of Merit. He had been associated with the museum since it was just an idea proposed by University of New Orleans historians Stephen Ambrose and Gordon “Nick” Mueller. “There ought to be 1,000 bricks with his name inscribed around this museum for all he has done," Mueller told the crowd at the ceremony. "He's been a tireless champion and advocate for this museum and its mission, on local levels, on national levels and international levels." Over the years, Detweiler served as a member of the museum’s board of trustees and a consultant for military and veterans affairs. At the December event, Mueller credited Detweiler with connecting local leaders, military officials and French authorities to stage grand opening ceremonies for the museum. He also was instrumental in fundraising and programming, launching a World War II conference at the museum in 2007 and working closely with veterans groups. A native of New Orleans, Detweiler graduated from St. Aloysius High School and earned his undergraduate and law degrees from Loyola University. He served in the Army Intelligence Corps from 1963 to 1966 as an operations officer with the U.S. Air Defense Command at Fort Bliss, Texas. He later advanced to the rank of captain in the Army Reserve. He joined the American Legion in 1966. He was elected to a one-year term as national commander in 1994. During his tenure, Detweiler pushed for better health care for veterans, an overhaul of the Veterans Affairs Department's medical system and better funding for health care facilities, including New Orleans' Veterans Affairs Medical Center. He also led an effort to promote a constitutional amendment prohibiting the physical desecration of the American flag. Detweiler's wife of 57 years, Maureen Reed Detweiler, said he was always motivated to take up positions of service, whether as an Eagle Scout, altar boy, soldier or public servant. “Working with the military and veterans was a particular passion of his and brought him a lot of joy,” she said. Politics was another longtime interest. In 1978, he was elected constable of New Orleans' 1st City Court, serving in that post for nearly 20 years. 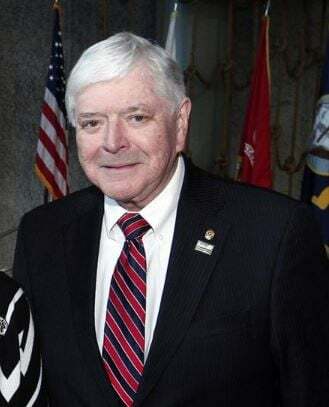 He was a member of the Governor’s Military Advisory Board and the Louisiana Senate’s Select Committee on Military Affairs, among other boards and commissions. He served several nonprofit institutions, including Belle Chasse Academy and the Foundation for Science and Mathematics Charter School. In 1973, he was appointed by President Richard Nixon to the Veterans Administration's National Rehabilitation and Education Advisory Committee, later serving as chairman. He and his wife were among the founders of the Tennessee Williams/New Orleans Literary Festival. “He was our first attorney and very active,” said festival president and co-founder Peggy Scott Laborde, senior producer at WYES-TV. Laborde interviewed the Detweilers for several of her WYES cultural documentaries, where Detweiler shared memories of everything from shopping on Canal Street to Tulane Stadium, Mardi Gras and St. Patrick’s Day celebrations. In addition to his wife, Detweiler is survived by two sons, Scott Detweiler, of Woodland Hills, California, and Keith Detweiler, of Metairie; two daughters, Bonnie Detweiler Shorr, of Gurnee, Illiois, and Jeannie Detweiler Millet, of New Orleans; and six grandchildren.